Friendly, professional and reliable oven cleaning in Cardiff, Newport, Swansea, Penarth, Caerphilly, Pontypridd and all of South Wales! Oven Cleaning Cardiff will not only do the tedious and time consuming task of cleaning your oven, but because we have specialist equipment and eco friendly cleaning products, you’ll get a better result than if you were to do it yourself! No one likes a dirty oven, but then no one likes going through the hassle of scrubbing it clean! I know that to be true because I even put off cleaning my own oven, despite being an oven cleaner! In fact I have to book myself in for an appointment or I know I’ll just never get round to it, because there are a hundred other things I need to be doing instead. And just like you, the longer I leave it, the worse it gets. And that’s what we’re here for. To help make your life a little bit easier and to help return your oven to its former glory. 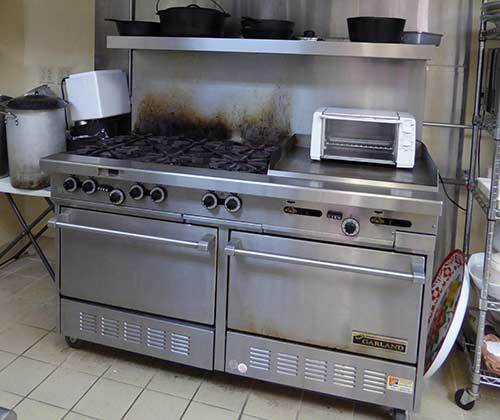 We also provide commercial oven cleaning, for those ovens and kitchens that get a heavy use or for landlords. Our services can be used by restaurants, landlords, property managers, schools, hotels, b+b’s, churches, canteens or cafes, nursing homes, student accommodation, sports clubs, conference centers, party or community halls, local authorities, hospitals, clubs, offices, workplaces, etc. Not only can we clean your oven, but we also provide full commercial cleaning services! 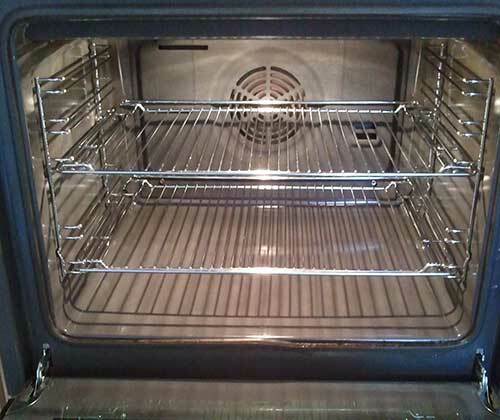 We’ve built our service to offer everything you need from a company providing oven cleaning in Cardiff! Because we use the products that are right for the job, you don’t have to wait for them to dry or for a smell to disappear. You can use your oven straight after we’ve left! Our business is built on referrals and repeats, so we go out of our way to give you the level of service we expect ourself. Friendly. Reliable. And professional. We want to make everything as easy as possible for you and so we accept multiple payment options, such as cash on the day, or credit cards payments online, or paypal! We provide a thorough clean, everything from the interior of the oven, such as the top, bottom and sides, to the fan, doors, door handles, any glass, racks and shelves. 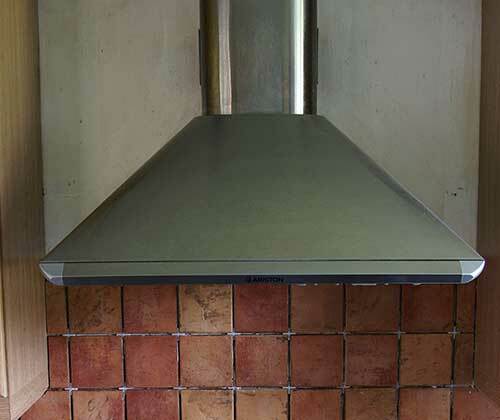 We’ve never once had to make a claim, but to protect you and your oven we have full insurance cover, so if for any reason there is an accident, we’re covered. We don’t just do oven cleaning, we also offer cleaning services for the following appliances in your kitchen! Most people also ask us to give their hob a clean for them. 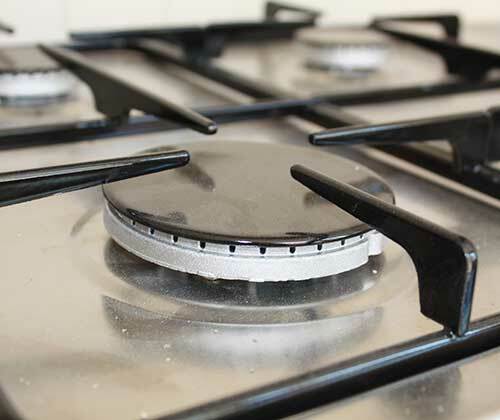 Using our 100% safe and non caustic products, we can clean any gas or electric hobs you may have and return them to their former glory! Extractors can also become dirty from oil deposits or condensation. We can clean your extractor and the walls around it, or any glass and tiles, which are likely to be covered in grease from any cooking. Another tedious cleaning task that we all put off are microwaves. 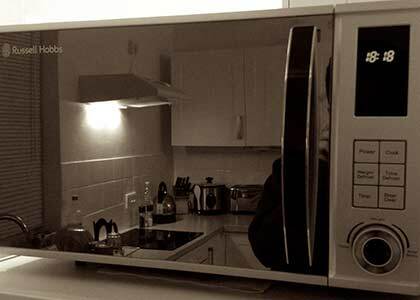 We can provide a deep clean for your microwave. We can do this for both regular microwaves or for combi microwave / ovens. 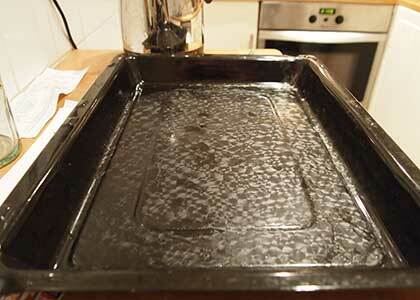 We can also clean any oven trays or pans that you have. We’ll take them out to our van and use our special equipment, which will remove the most stubborn and stuck on stains! Having a barbecue is fun, but cleaning it, isn’t! 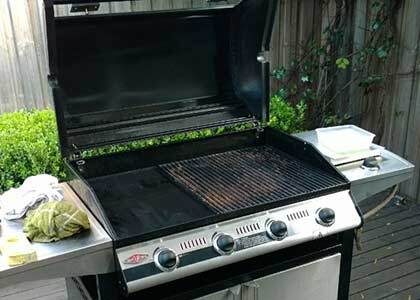 We can give your barbecue the clean it needs, so that it’s ready for when we next (if we ever) have hot weather again. Here are some answers for the questions we’re asked the most. Don’t see an answer you need? Contact us! We’re always happy to help or offer any advice! That really depends on what you’re having cleaned, how dirty it is and what extra items you’re having cleaned! But most oven cleans take between 1 – 3 hours to clean. That’s for single and double ovens. AGA ovens take longer. If we’re already set up for your oven clean, then cleaning other items like hobs, extractors or microwaves can be done a lot quicker! Again that depends on what you’re having cleaned. We’ve actually put together a pricing page to give you a better idea! 9 out of 10 times our prices will be what you see on that page. But sometimes if an oven is going to take longer then usual to clean, we may charge a little more. You’ll always be notified before we start work and you can decide if you want us to proceed or not. Nope! We’ll take care of everything and bring all the equipment plus cleaning products. We’ll also bring dust sheets in case there’s any mess and we’ll clear up after ourselves so you don’t have to lift a finger! All we ask is if your property has any parking restrictions, just let us know beforehand so we can avoid any parking fines! Have A Question? Or Want To Book An Appointment? If you would like more information or want to book an appointment, just complete the contact form below and we’ll get back to you ASAP, with either an answer or to schedule you in! Your message. The more details the better! Please also include your preferred days and times, with as many potential dates as possible, as we do book up quite a bit in advance! Site made by Leaflet Distribution Cardiff Photo Credits!